The past few weeks I’ve felt like an expectant mother. Remember that 70’s Heinz Ketchup commercial? 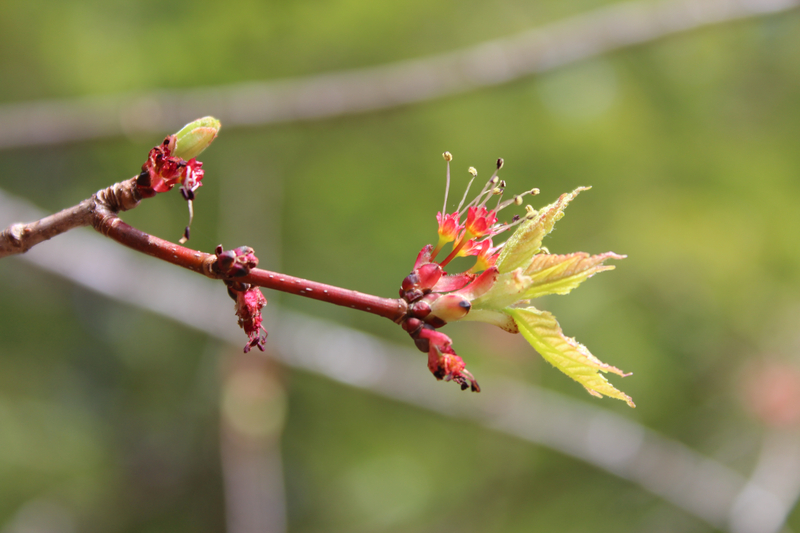 “Anticipation, anticipa-a-a-tion, it’s making me wait.” First it was the Red Maples. Look at them now. 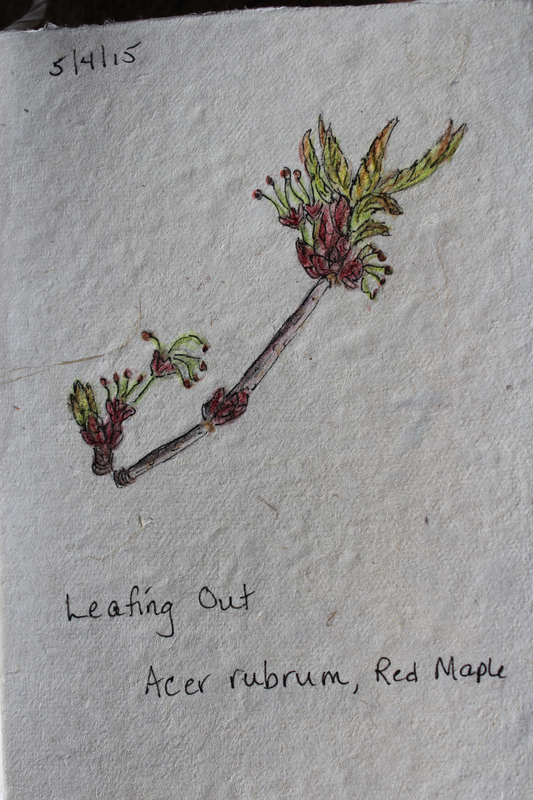 Tender and colorful, their leaves begin to unfurl. 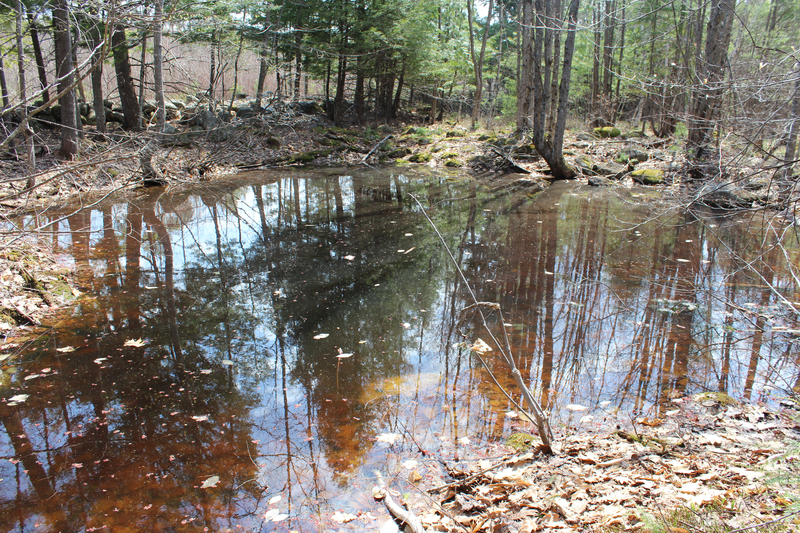 And then there is the vernal pool where the rhythm of life changes with each day. 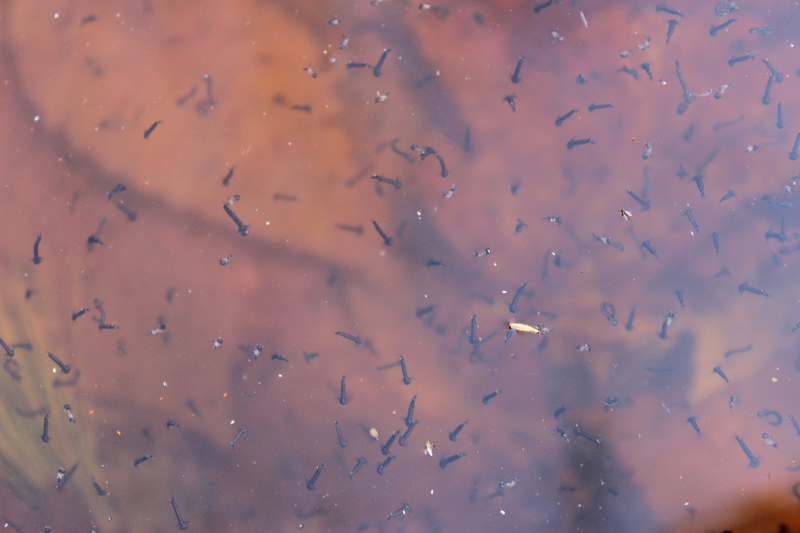 Larval mosquitoes wiggle and waggle and somersault through the water. 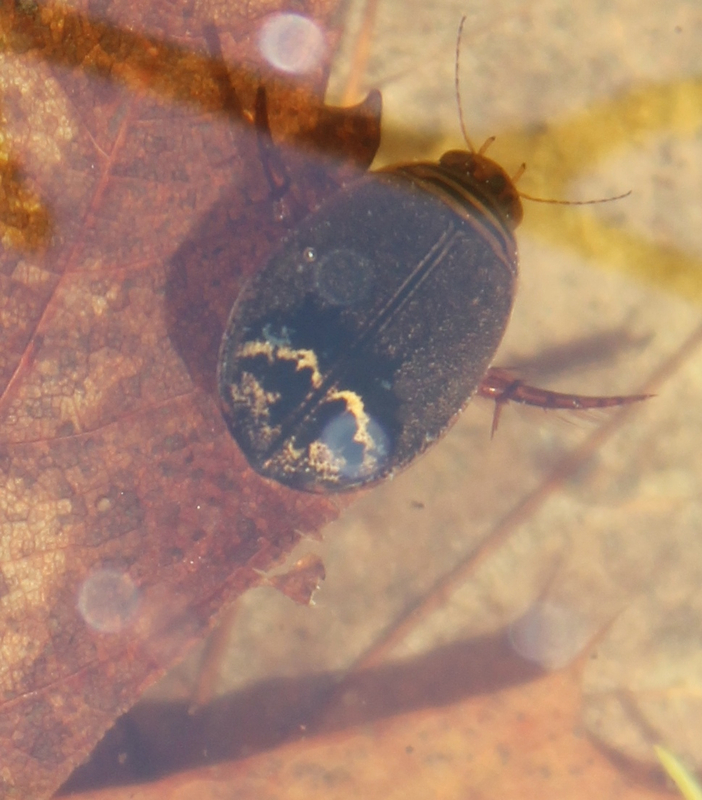 Predacious beetles paddle along in this fertile hunting pool. 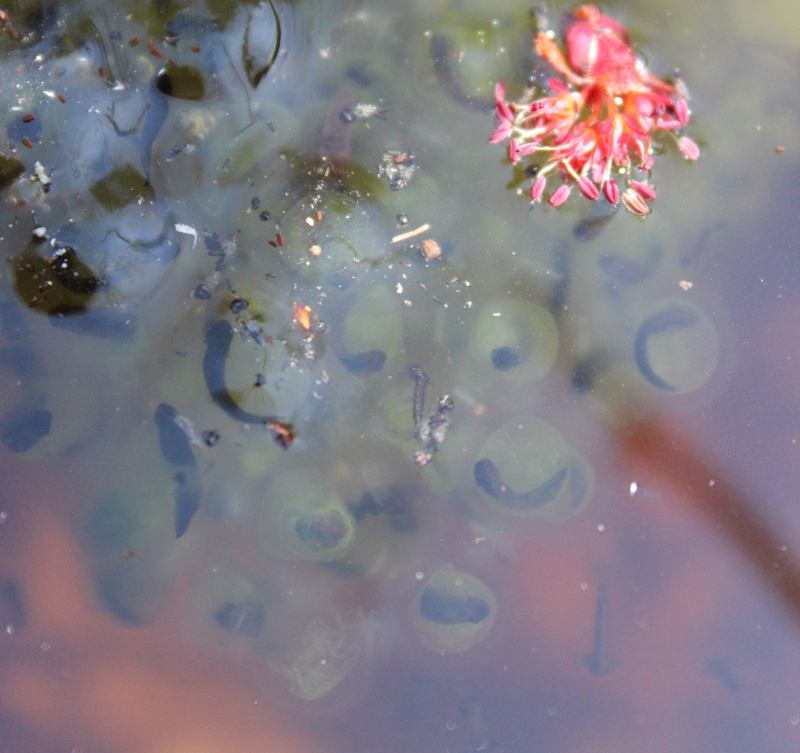 with a blanket of warmth for the growing embryos. Their due date fast approaches. 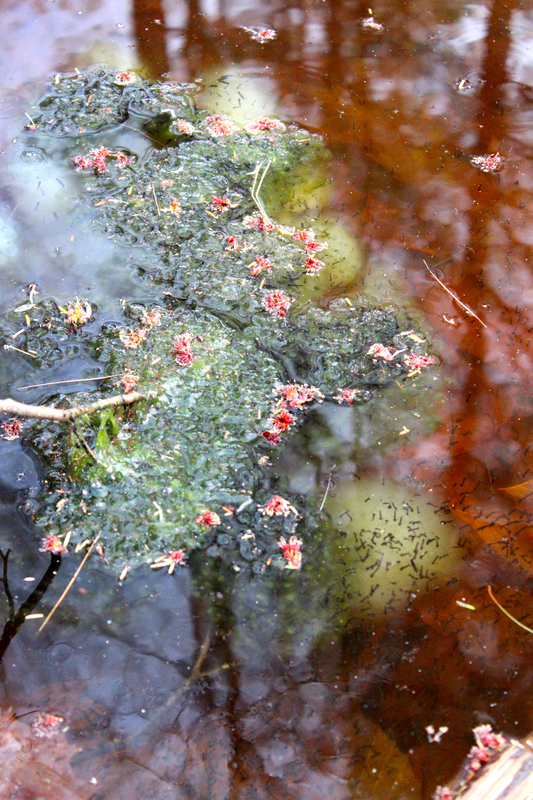 The pond reverberates with each tiny step. 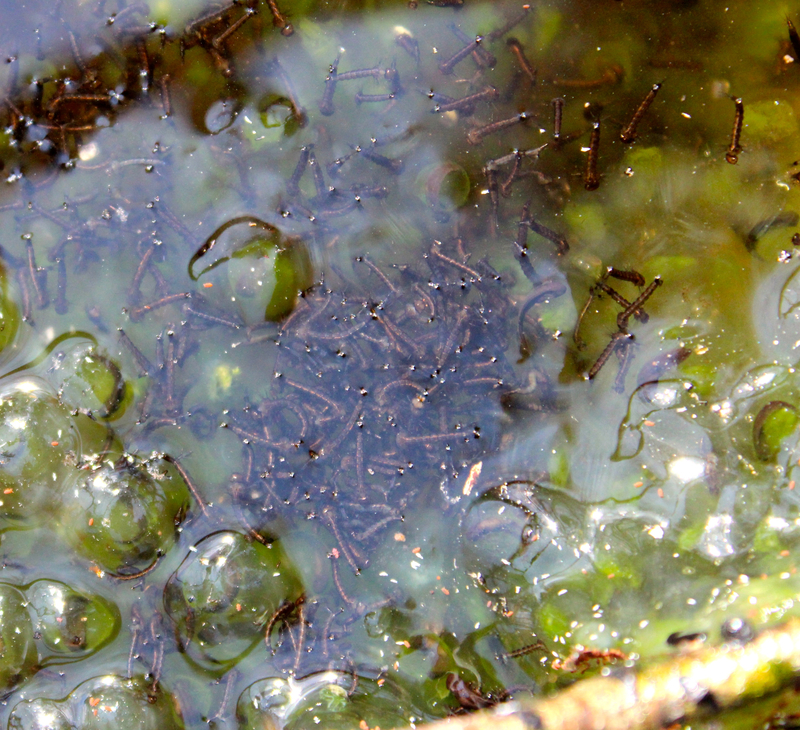 The quarter-inch tadpoles feed on the green algae that has colonized the eggs. 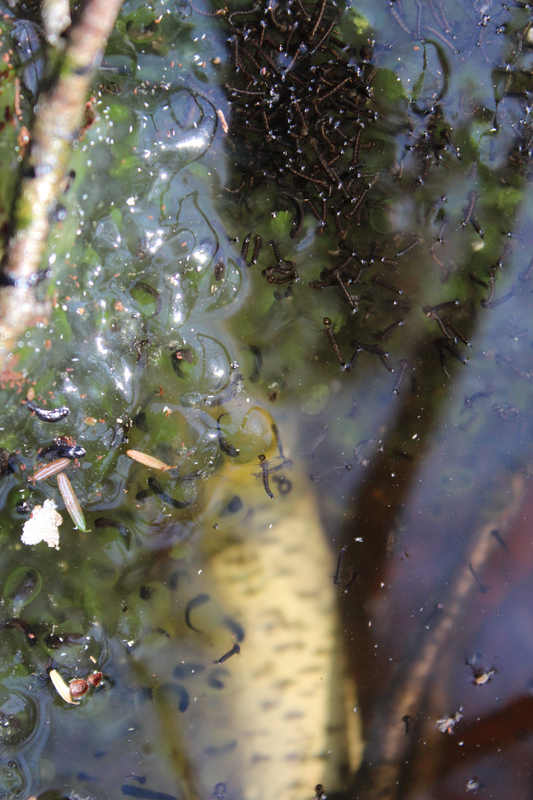 In their symbiotic relationship, the algae feed on the embryos’ waste and produce oxygen. And curious. The water level has dropped several inches already. 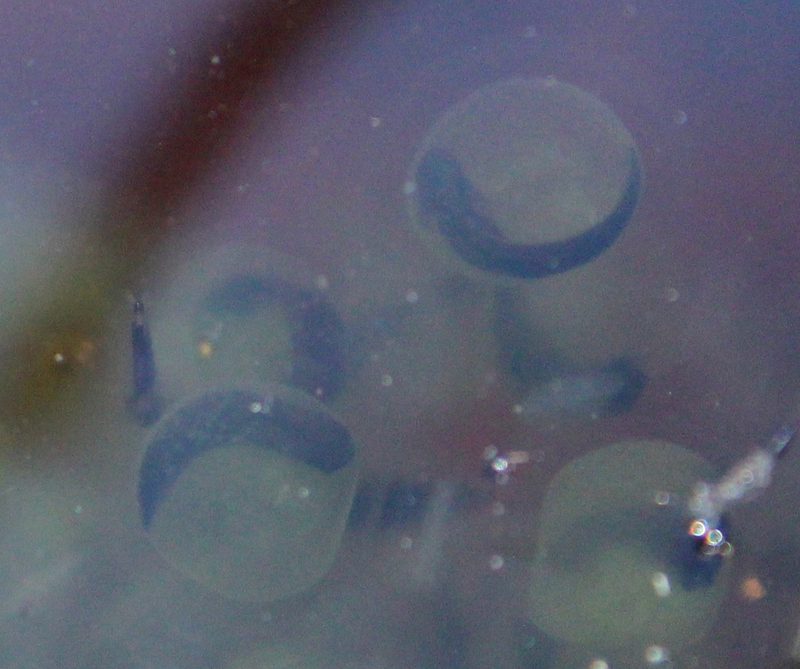 The question is, will the gelatinous mass be enough to keep these embryos alive? 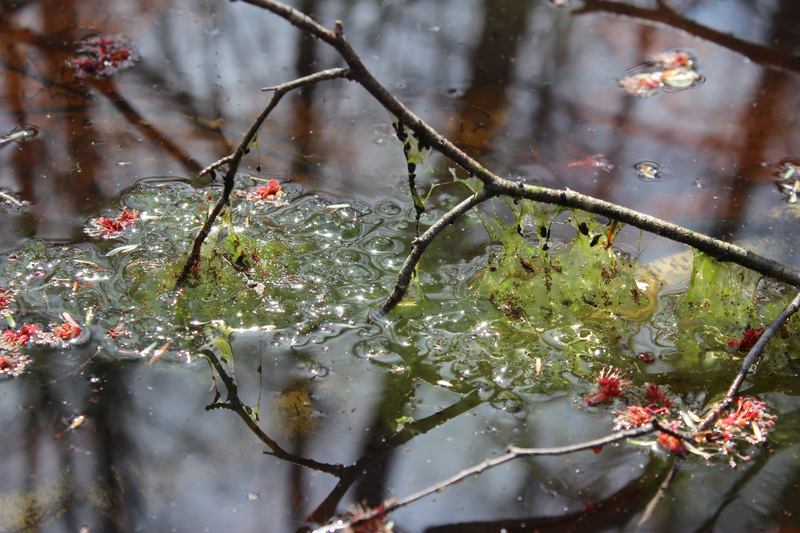 I turn away and by my feet, a Canada Mayflower about to bloom. Yet another step taken. So much is going on in this place. 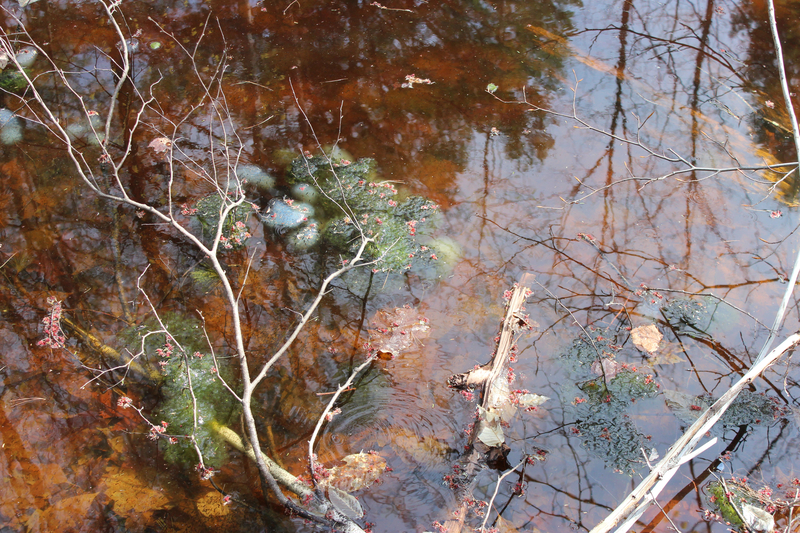 I look around at the hardwoods and softwoods that hang over the pool and drop their flowers, leaves, needles, cones and sometimes branches. Moss and lichen cover the rocks. 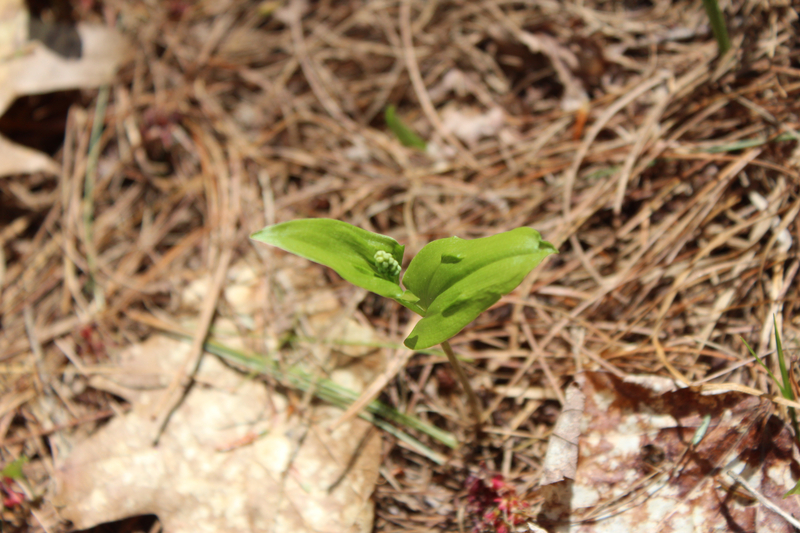 Plants are just emerging. And I’ve seen evidence that mammals stop here for water or food. 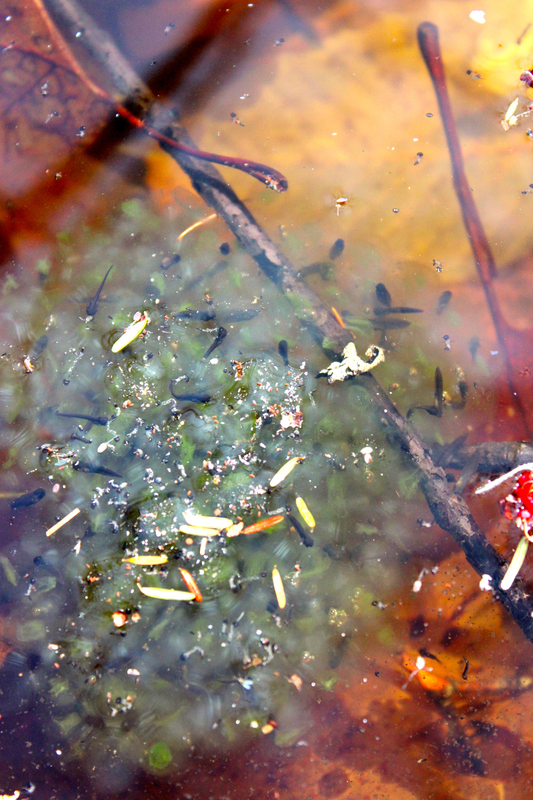 I want to protect the wood frog tadpoles so that in time they can hop away into the upland habitat as their parents did. They are my pride and joy. But only for a moment. They are not mine. The web of life plays out right here and pulls me along one step at a time. Thanks for stopping by to wonder as I wander. Thanks Kim. It’s amazing what is to be seen in there. Every minute is a new experience.